*NEW* Evening Texas Fit Chicks College Station Boot Camp...start Jan 7! We are so excited to announce that we are adding 2 new evening boot camp classes in College Station Texas! Both camps will start January 7, 2013. Perfect way to reach your fitness goals - with the guidance and expertise of our trainers! Hello! My name is Julie Jack and I am currently attending Texas A&M University as a senior kinesiology major. Fitness has been a part of my life for a long time now – I have been dancing since I was 7 and while I stopped after high school, I have continued to stay active in college. Since June 2012, I have been teaching a body blast class through A&M and love the different environment from dance. Although I was a dancer for most of my life, I never understood the importance of fitness until I learned about it through classes in my degree. I am committed to educating you on importance of fitness and to getting you in shape! So join me and I will help you live a healthier life!! Deana Knight will lead camp on the roof top of Bed Bath and Beyond (on Texas Ave) from 7:30-8:30 pm Monday, Tuesday and Thursday. Howdy! 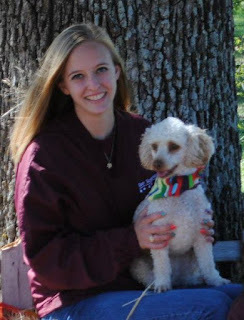 My name is Deana, and I am a senior kinesiology major at Texas A&M University. I have been teaching fitness classes since June of 2012, and I LOVE every minute! I enjoy it so much that I am now certified through AFAA as a primary group exercise instructor! Living with multiple roommates (and my dog, Bentley), I know that finding time to exercise and eat healthy aren't always first priorities. However, it CAN be done! I'm ready to help you make a change and start living a healthier lifestyle! Texas Fit Chicks Boot Camp is THE premiere womens fitness program in Tx. We offer training at a fraction of the cost! Our nationally certified fitness experts will guide you to your personal goals. All fitness levels welcome!